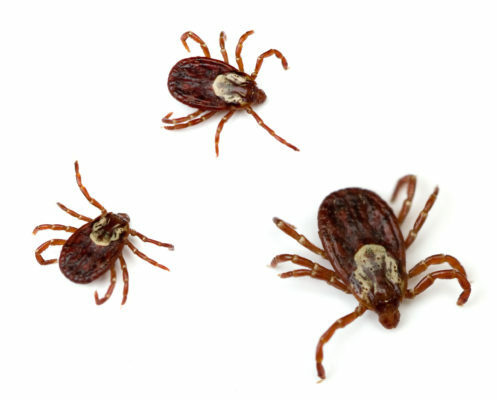 Home / Modern Pest Blog / What Diseases Do New England-area Ticks Spread? 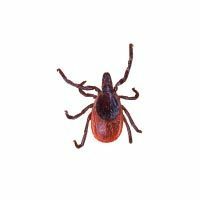 What Diseases Do New England-area Ticks Spread? 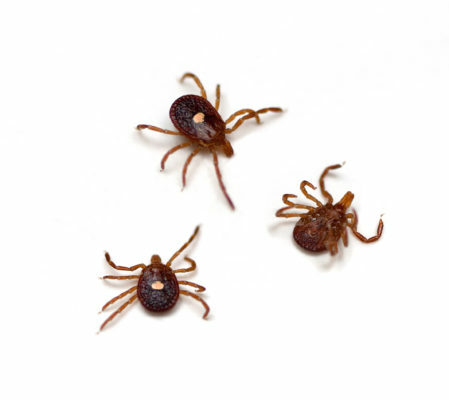 The four most common tick species found in New England are American dog ticks, Brown dog ticks, Black-legged (deer) ticks, and Lone Star ticks. The highest risk of being bitten by a tick is during spring and summer. Infestations have been on the rise over the past few years, which is a concern for pest professionals and homeowners alike. All four species pose a risk to humans. Modern Pest Services’ Homecare Vector program can reduce the number of ticks, mosquitoes, and fleas on your property by eliminating breeding sites and targeting hot spots. It also provides long-term prevention. So, what are the differences between the species, and what diseases do they carry? The American dog tick, or wood tick, is typically reddish-brown with gray and silver markings on its dorsal shields. Unfed females are typically 5 mm long and are slightly larger than males, which are about 3.6 mm long. Females are normally very flat in appearance unless they are engorged with blood, in which case they can enlarge up to 15 mm long and 10 mm wide. This tick is usually found in the United States, east of the Rocky Mountains. It can also be found in some parts of Canada, Mexico, and the Pacific Northwest. Tularemia- symptoms sometimes include a skin ulcer at the site of the bite, and swollen glands usually in the armpit or groin. Rocky Mountain spotted fever- early indicators include spotted rashes, confusion, and flu-like symptoms such as fever, chills, headache, nausea, and vomiting. The adult brown dog tick is reddish-brown and lacks any ornamentation. When fully fed, the body stretches and changes from reddish-brown to a more blue-gray. They are 1/8 – 3/16″ in length. Larva have six legs, while nymphs and adults have eight legs. Females increase in size dramatically when engorged from feeding, while males only stop take small meals and don’t get as large. Brown dog ticks are most commonly found in warmer climates. However, they can complete their entire life cycle indoors, so they are found in colder climates as well. The black-legged tick, or deer tick, is named for its black legs. Its body is pale in color and can be recognized by its small size and reddish dorsal area. Females have a shorter dorsal plate and a tear-drop shape. Males are smaller with a round dorsal plate that covers most of their body. They can be found in the northeastern and upper midwestern United States. Lyme disease- early on, the symptoms are usually fever, chills, body aches, fatigue, headaches, and a stiff neck. Anaplasmosis- symptoms commonly include fever, headache, chills, nausea, cough, and muscle aches and pains. Ehrlichiosis- common symptoms include fever, headache, nausea, vomiting, and cough. Babesiosis- symptoms include weakness, fatigue, fevers, jaundice, hemoglobinuria (ruptured red blood vessels that often cause pink urine), and anemia. Powassan disease- Although many people develop no signs of the virus, symptoms can include fever, headache, vomiting, weakness, confusion, loss of coordination, speech difficulties, and seizures. 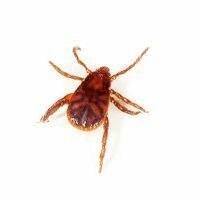 Lone star ticks are named for the single white spot on the backs of the adult females. The spot can vary from cream to bronze/gold and can even appear iridescent at close range. Females are about 1/4″ long, and 1/2″ or longer when fully engorged. They can be found in the southeastern and eastern United States. Ehrlichiosis- common symptoms include fever, headache, nausea, vomiting, and a cough. STARI (southern tick-associated rash illness)- symptoms include a red, expanding, bull’s eye rash, fatigue, headache, fever, and muscle pains. Alpha-gal allergy- humans that contract the alpha-gal carbohydrate from Lone Star ticks develop an allergy to mammalian meat, but can still consume fish and poultry. Our Homecare Vector Program is a targeted application using effective, but low-toxicity materials to protect your family and yard from mosquito, flea, and tick-borne diseases throughout the entire season. Modern Pest Services’ Homecare Vector Program: the modern solution to tick, flea, and mosquito prevention this summer.